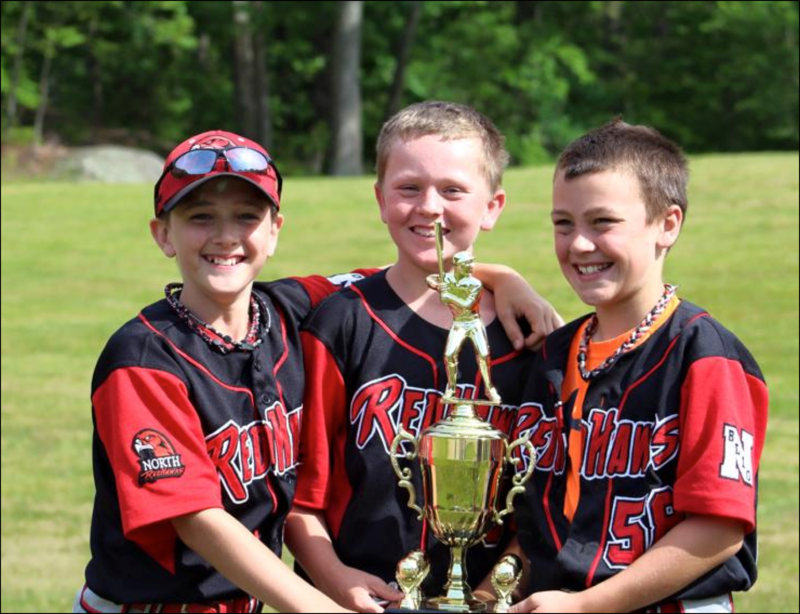 North RedHawks is a travel team that offers a high level of competition within AAU baseball while maintaining strong roots in North Attleboro and LNAL. Our focus is on baseball and sportsmanship, while teaching life lessons that will broaden players’ development. Players selected for the team will travel to other communities for games and tournaments, in addition to playing on their LNAL spring team. Indoor practice will begin in January, regular season games run from April-June, playoffs (if the team qualifies) will end mid-June. Once the weather allows, there will be outdoor practices on LNAL fields. There will be approximately 20-30 games during the season, mostly doubleheaders on Sunday mornings. Away games may require up to 60 minutes of travel. Home games will be played on LNAL fields. Fees will be approximately $850-$1050 which will cover costs related to field fees, tournament fees, practice space, umpires, team equipment and uniforms. Hat, jersey, pants and belt are included in the fees and new players will also receive a bag, batters helmet, and team sweatshirt or warm up jacket. For more information please contact Harry Kojoian.